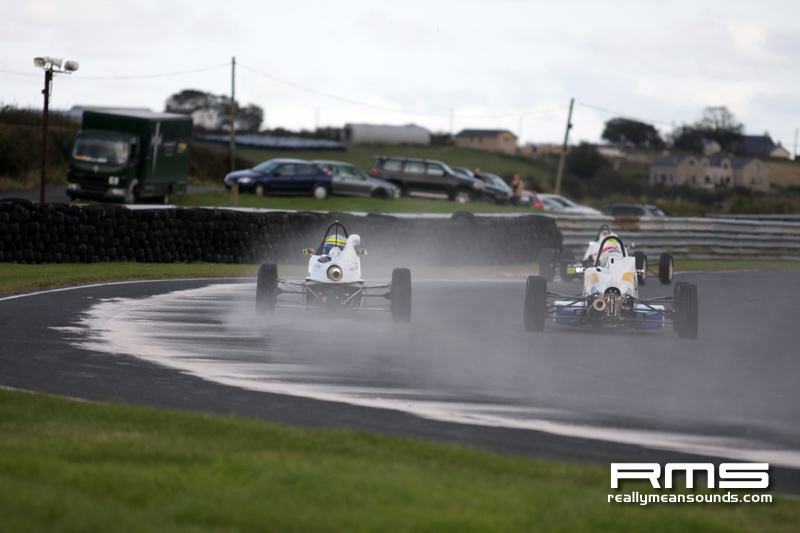 The 2012 Northern Ireland FF1600 Champion Ivor McCullough coasted to victory in the final to claim the Martin Donnelly Trophy for a second time and on his way he established a new class lap record. 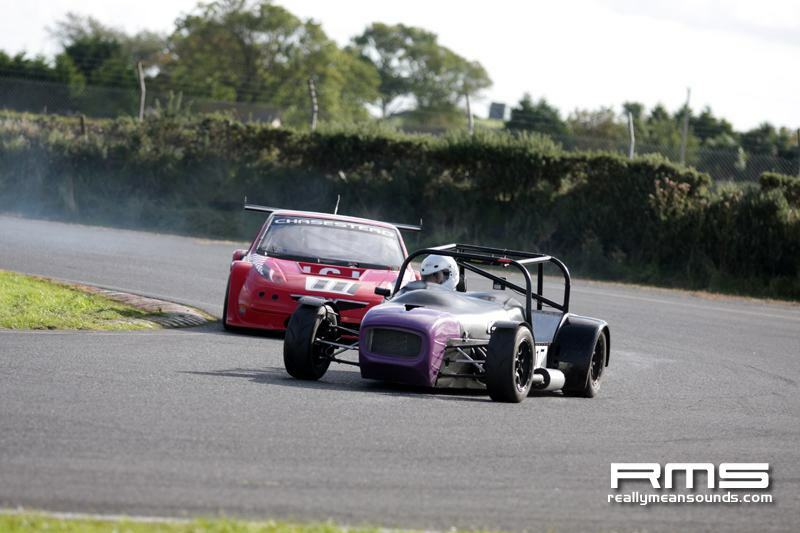 Earlier in the day he won his heat with Noel Robinson winning the second and he lowered the class lap record. 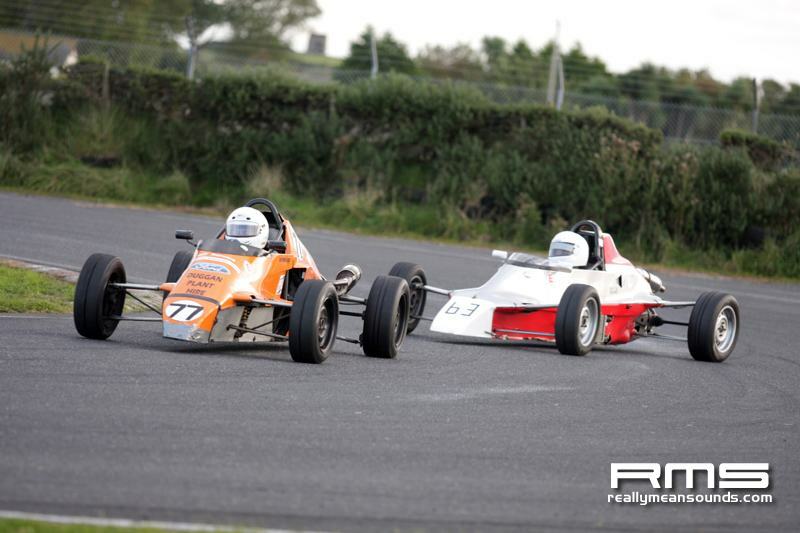 Four previous winners were in action McCullough, Robinson, Neville Smyth and Patrick McKenna. 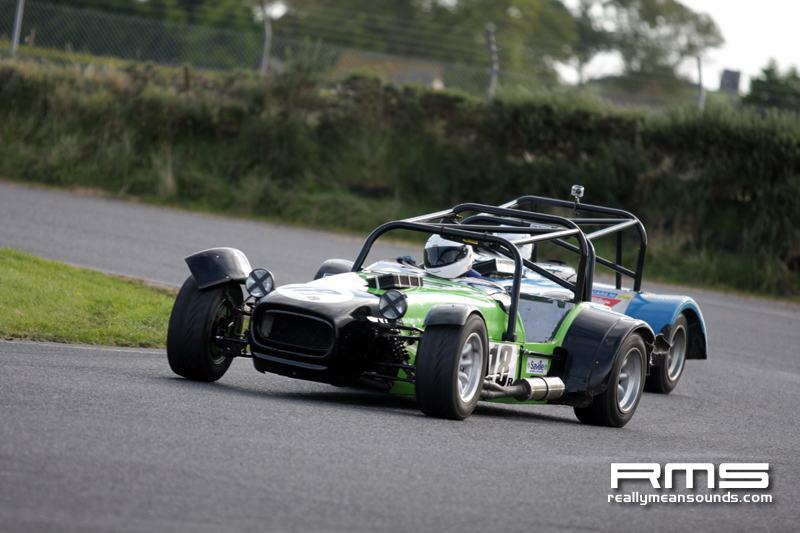 There was further record breaking when in the first of the two Formula Libre races Philip Shields set a new outright track record, the first driver in the history of Kirkistown to lap at an average speed of 106mph plus. 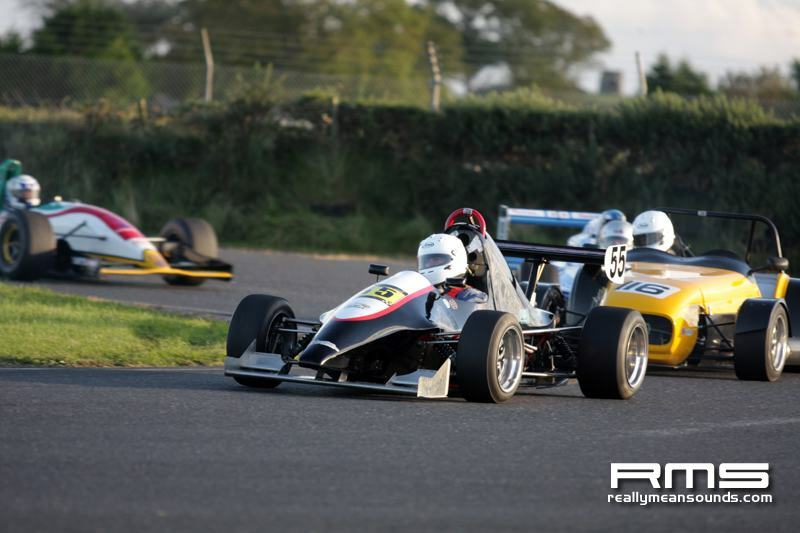 Martin Donnelly Trophy FF1600. heat 1. 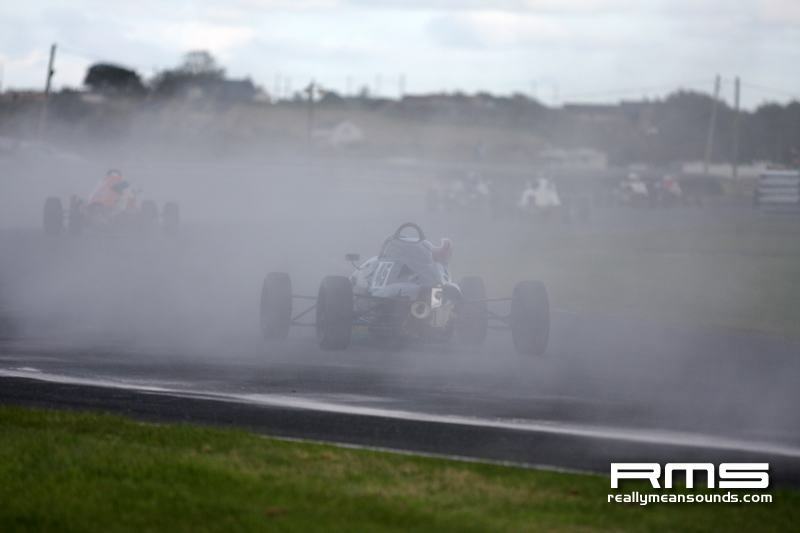 1 Ivor McCullough (Van Diemen RF00) 10 laps in 10m 20.14s (87.77mph); 2 Neville Smyth (Ray GR09) + 2.46s; 3 Jonny McMullan (Mondiale M89S); 4 Garry Newsome (Mygale SJ08); 5 Mark McKenna (Van Diemen RF91); 6 David Nicholl (Reynard FF89); 7 Jamesy Hagan (Reynard FF84); 8 Mike Todd (Mondiale M84S); 9 Brendan Duggan (Van Diemen RF87); 10 David Black (Crossle 32F). PP: McCullough 1m 00.75s (89.60mph). 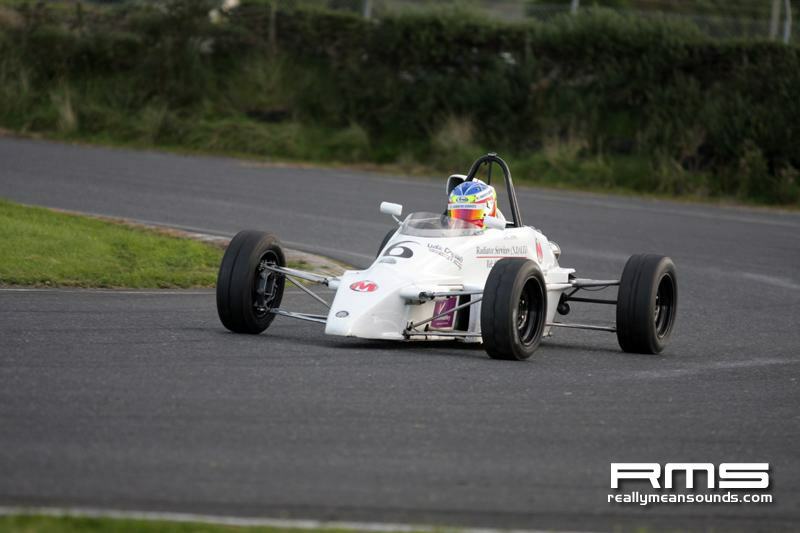 FL: McCullough 1m 01.05s (89.15mph). S: 10. heat 2. 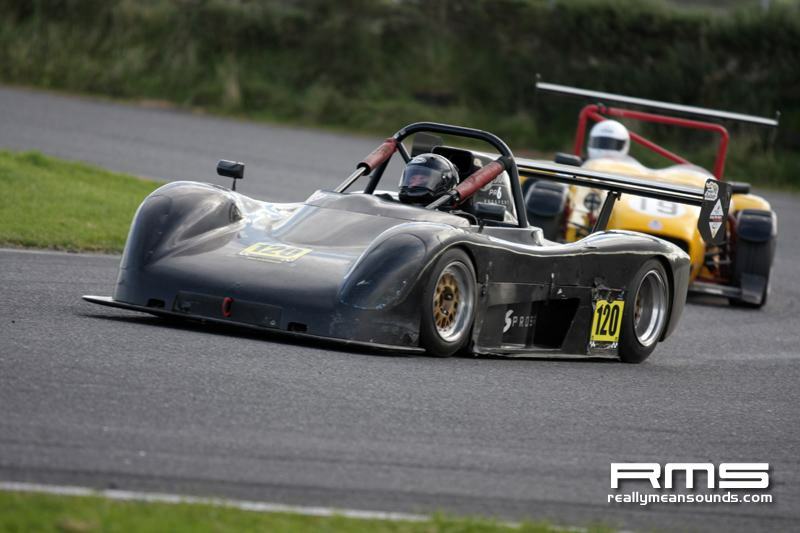 1 Noel Robinson (Van Diemen JL012K) 10 laps in 10m 25.81s (86.98mph); 2 Robert Barrable (Swift SC92) + 2.10s; 3 Patrick McKenna (Van Diemen DP09); 4 Andrew Noble (Reynard FF89); 5 Henry Campbell (Reynard FF83); 6 Tom OConnor (Van Diemen RF90); 7 Jade Pavely (Swift SC94); 8 John Stewart (Reynard FF83); 9 James Graham (Van Diemen RF85).PP: Robinson 1m 01.17s (88.98mph). 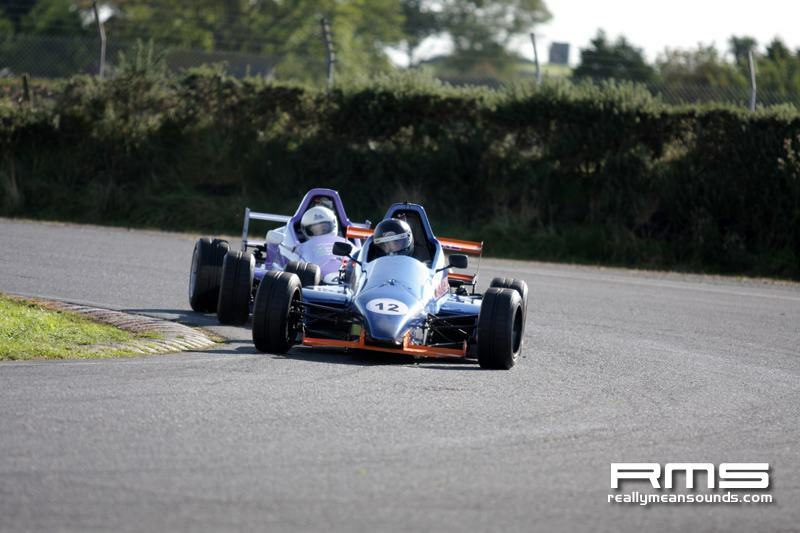 FL: Robinson 1m 00.84s (89.46mph) record. S: 9. 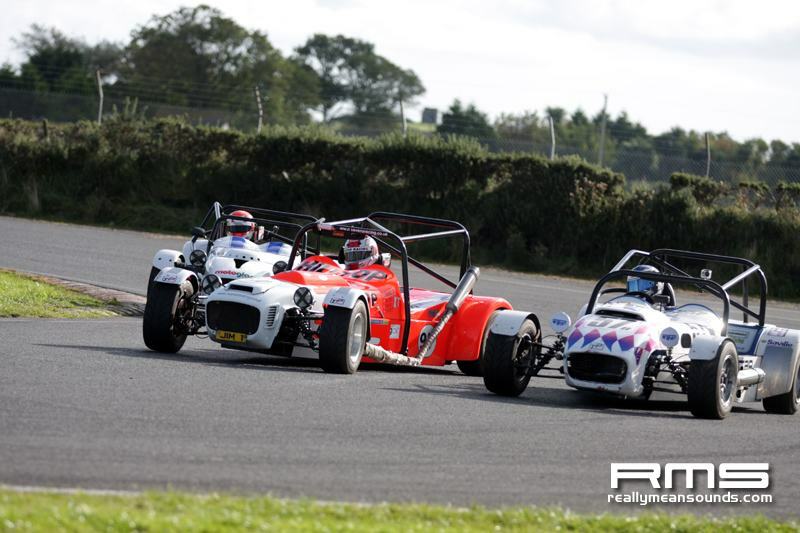 Final 1 Ivor McCullough 16 laps in 16m 26.89s (88.25mph); 2 McMullan + 12.17s; 3 David McCullough (Van Diemen RF90); 4 Mark McKenna; 5 OConnor; 6 Noble; 7 Nicholl; 8 Stewart; 9 Todd; 10 Hagan. PP: Ivor McCullough 1m 00.74s (89.60mph). FL: Ivor McCullough 1m 00.72s (89.64mph) record. S: 20. 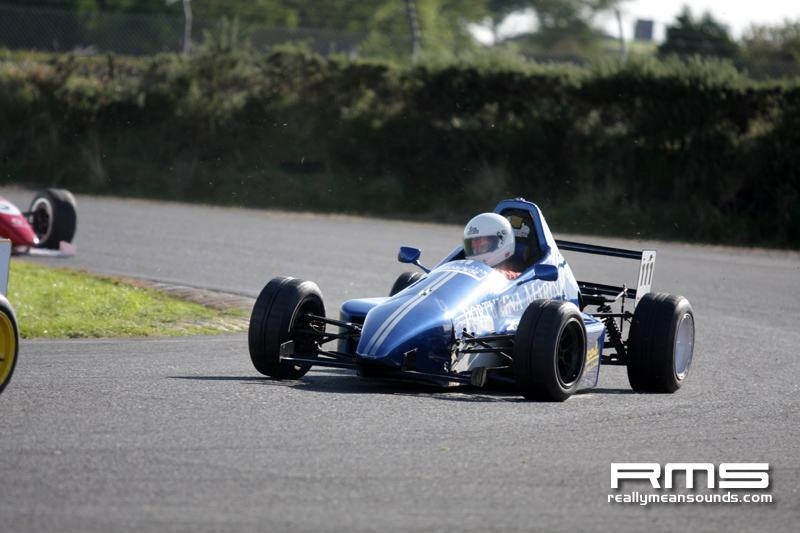 Formula Sheane 1 Robbie Allen 13 laps in 13m 30.30s (87.32mph); 2 Keith Hogg + 4.32s; 3 Kevin Sheane; 4 Dan Mulligan; 5 Tim Swail; 6 Brian Hearty; 7 David Kelly; 8 John Linnane; 9 Aidan Byrne; 10 Gary Corcoran. 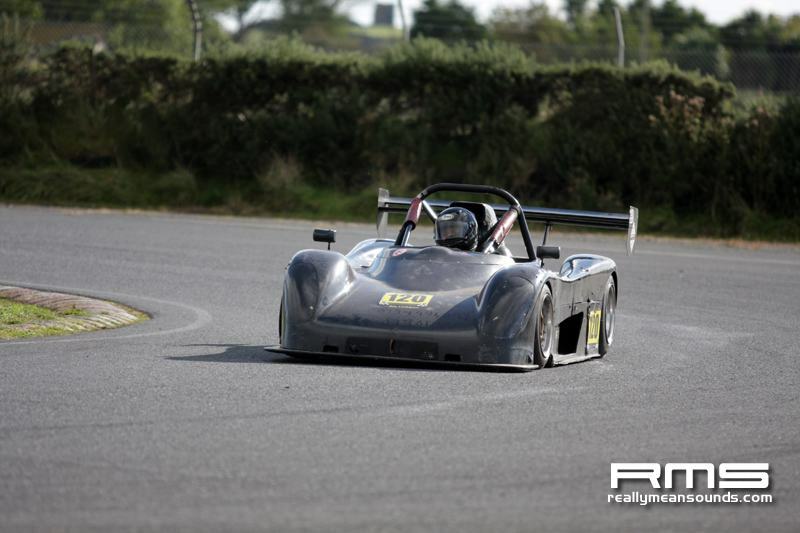 PP: Allen 1m 01.06s (89.15mph). 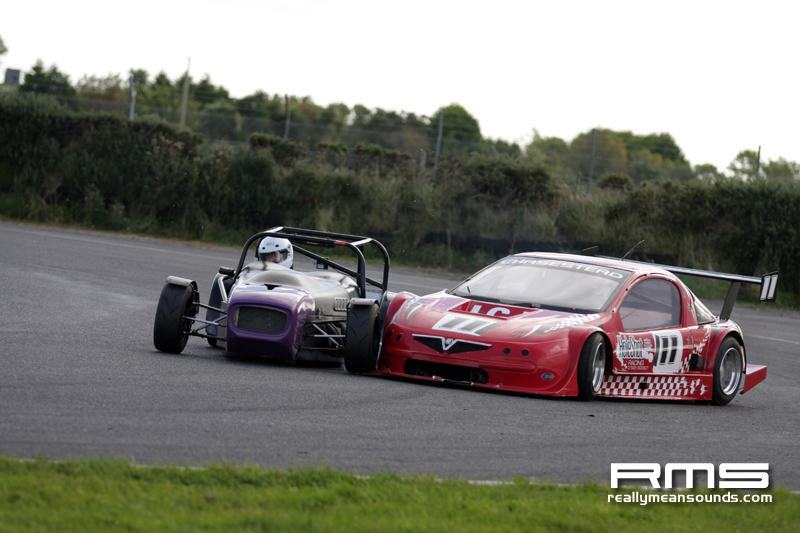 FL: Sheane 1m 01.36s (88.70mph). S: 12. 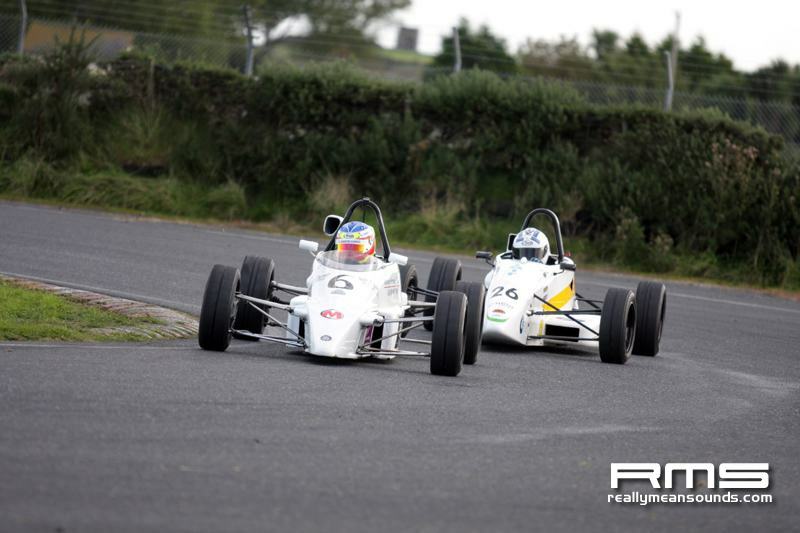 Formula Libre race 1. 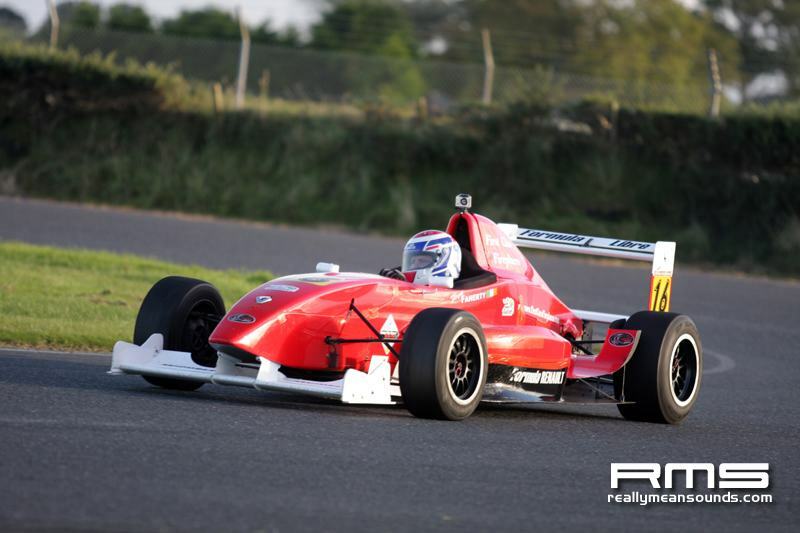 1 Philip Shields (Dallara) 12 laps in 11m 06.29s (98.03mph); 2 Eugene Heary (Reynard) + 25.67s; 3 Mark Crawford (Jedi); 4 Martin Daly (Tatus); 5 Eamon Matheson (E5); 6 Fergus Faherty (Tatus); 7 Jim Hutchinson (Westfield); 8 John Daly (Lola). PP: Shields 51.81s (105.06mph). FL: Shields 51.11s (106.51mph) new track record. S: 9. race 2. 1 Shields 18 laps in 16m 39.97s (97.98mph); 2 Heary + 35.36s; 3 Crawford; 4Martin Daly; 5 Hutchinson; 6 Matheson; 7 Faherty; 8 John Daly. PP: Shields 52.39s (103.90mph). FL: Shields 52.27s (104.14mph). S: 8. 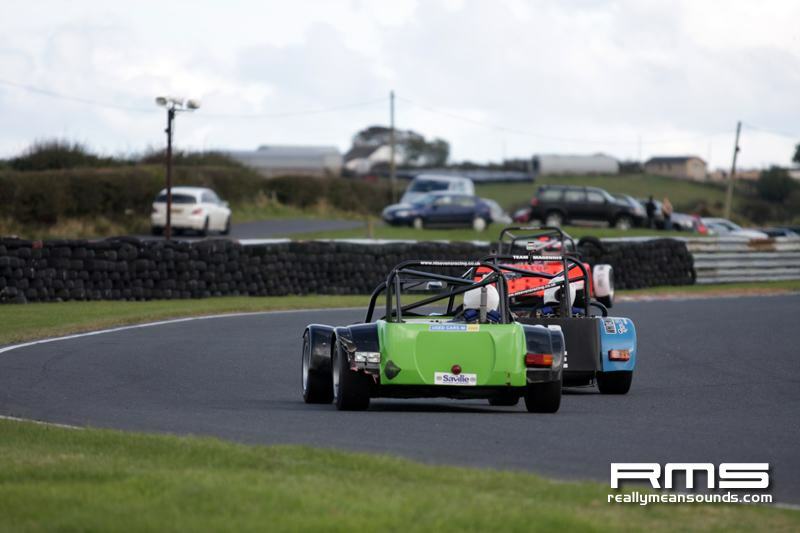 Historics race 1. 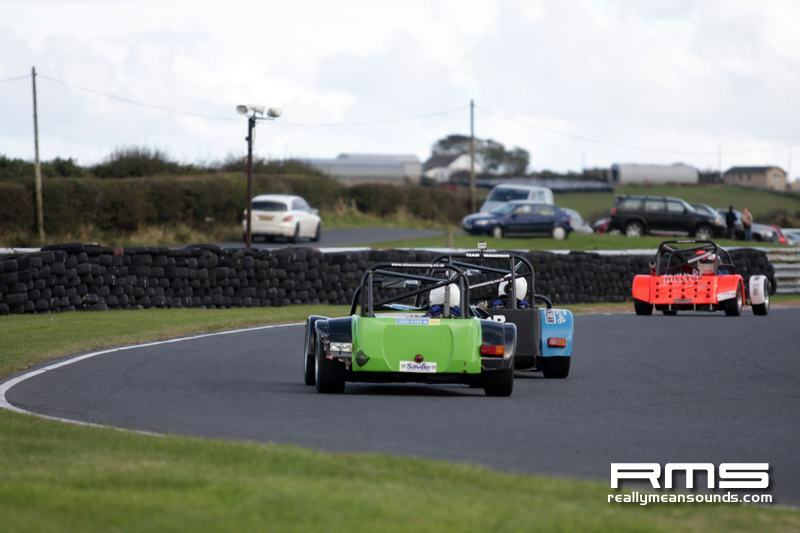 1 Jackie Cochrane (Sunbeam Tiger) 10 laps in 11m 08.05s (81.48mph); 2 Bernard Foley (MGB GTV8) + 19.78s; 3 Michael Doyle (Chevron B8); 4 Billy Crosbie (Lotus 7); 5 David Moloney (MG Midget); 6 Noel Kavanagh (MGB). PP: Cochrane 1m 03.51s (85.70mph); FL: Cochrane 1m 02.85s (86.60mph). S: 7. race 2. 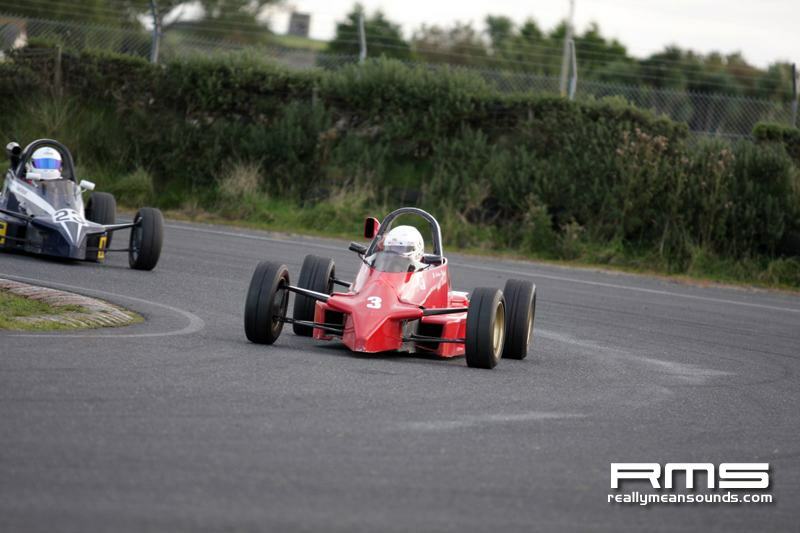 1 Cochrane 12 laps in 13m 35.86s (80.06mph); 2 Foley +2.37s; 3 Doyle; 4 Crosbie; 5 Moloney; 6 Kavanagh. PP: Cochrane 1m 04.48s (84.21mph). FL Cochrane 1m 04.39s ((84.53mph). S: 6. Fiesta/Mazda 1 James Turkington 11 laps in 14m 23.05s (69.35mph); 2 Ryan Campbell + 10.73s; 3 James Hanna (Mazda); 4 Andrew Blair; 5 Alister Robinson; 6 Andy McShane; 7 Glenn Campbell; 8 Jamesy Hagan. PP: Turkington 1m 16.49s (71.17mph). FL: Robinson 1m 16.16s (71.47mph). S: 9. Roadsports 1 Mike Johnston (Opel Tigra) 9 laps in 9m 35.02s (85.19mph); 2 Ian Trevor (Westfield); + 2.92s; 3 Jim Larkham (Radical); 4 Bill Gowdy (Crossle 9S); 5 Jack Boal (Locost); 6 Trevor Allen (Striker); 7 Alan Davidson (GMS); 8 Ryan Magennis (GMS); 9 Jimmy Dougan (GMS). 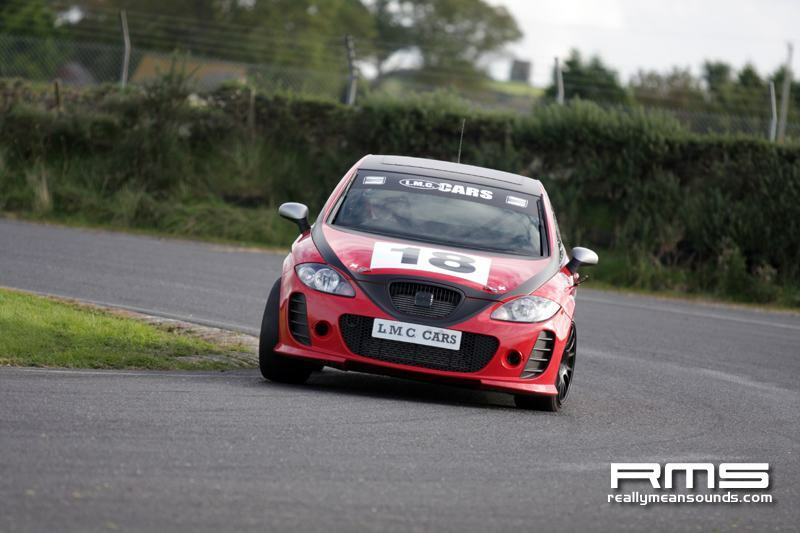 PP: Colin Reid (Reis) 1m 00.70s (89.67mph). FL: Johnston 1m 00.60s (89.82mph).CW: Johnston; Boal S: 11. 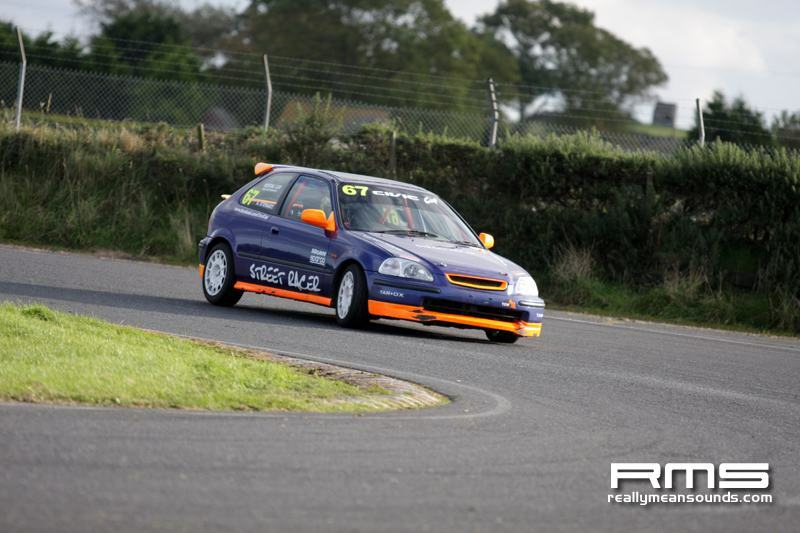 Saloons/GTs 1 Stephen Traub (Honda Integra) 12 laps in 13m 10.82s (82.59mph); 2 Ralph Jess (BMW M3) + 0.19s; 3 Philip Shields (SEAT Supercopa); 4 Martin McDonnell (SEAT Leon); 5 Connair Finn (Ginetta G50); 6 Colin Elstrop (Ginetta G50); 7 Tony Traub (Honda Integra); 8 Robert Patton (Honda Integra); 9 David Beatty (Honda Prelude); 10 Aidan Vance (Honda Civic). 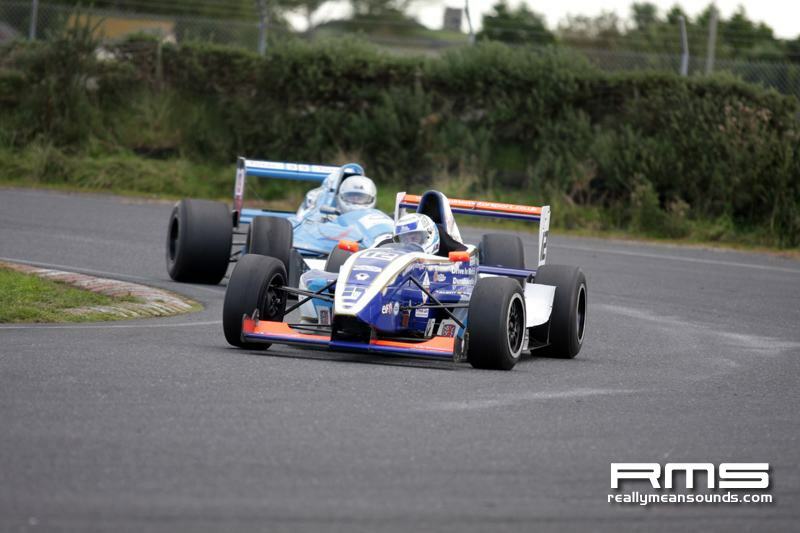 PP: Finn 1m 00.58s (89.85mph).FL: Finn 1m 00.51s (89.95mph). CW: Stephen Traub; Finn. S: 14.